Have you used reverse image search? When you use Google Image Search on desktop computers, have you noticed the small camera icon in the search bar? By clicking this lookup tool, you can start using reverse image searching with uploaded photos. 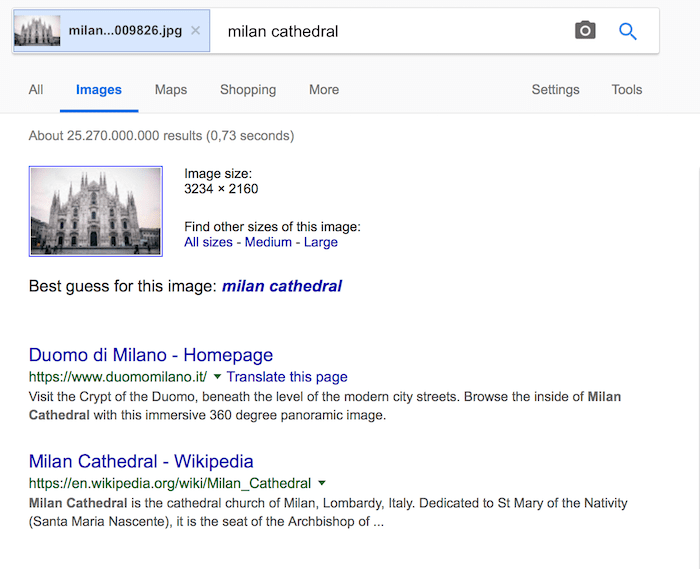 It works by comparing a photo or an image that you upload to Google with other matching images already indexed by search engines to find similar images. There are many fun and productive things you can do by using photo lookup with the reverse image search tool. 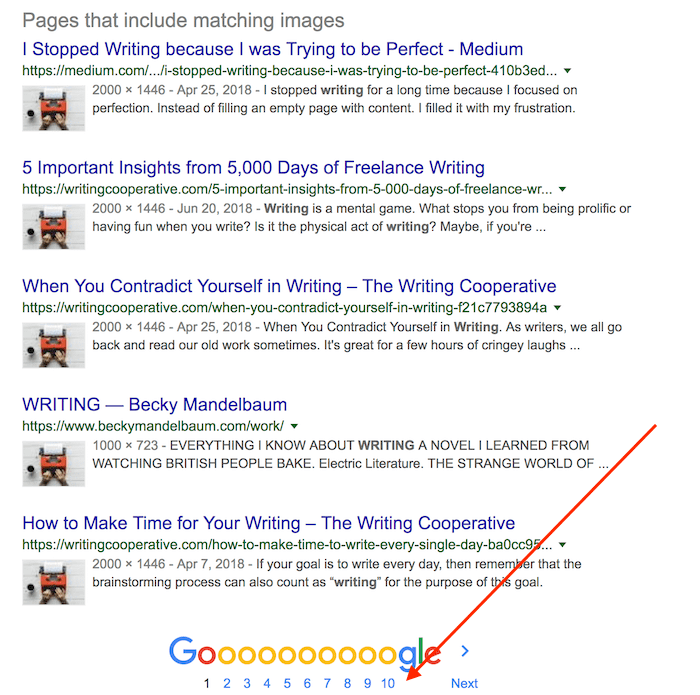 For bloggers, writers and authors there are a lot of ways you can do better research and information retrieval to improve your articles and help your SEO. But before we get to all the uses, here is how you access the reverse photo lookup tool. Start by going to Image Search and click on the camera icon. When you click, you will see the image finder option box below. From here, you can use either query technique using an image URL or upload an image option. 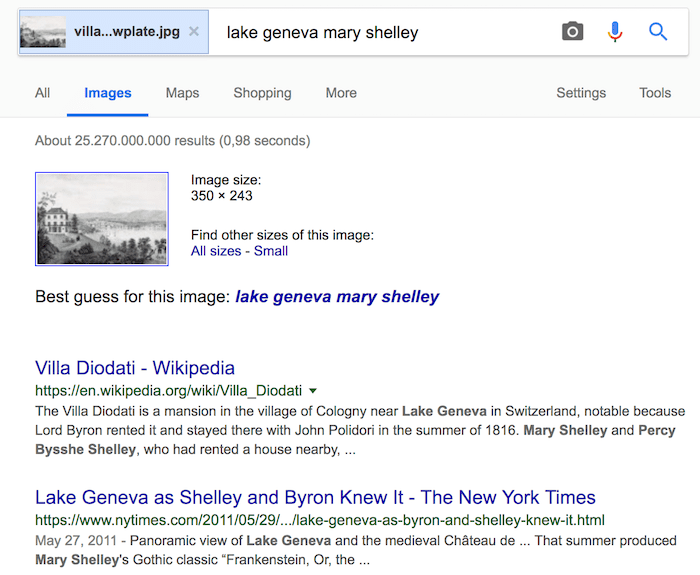 When you upload a picture or URL, Google will use image lookup to compare your source of an image with similar photos in its index. 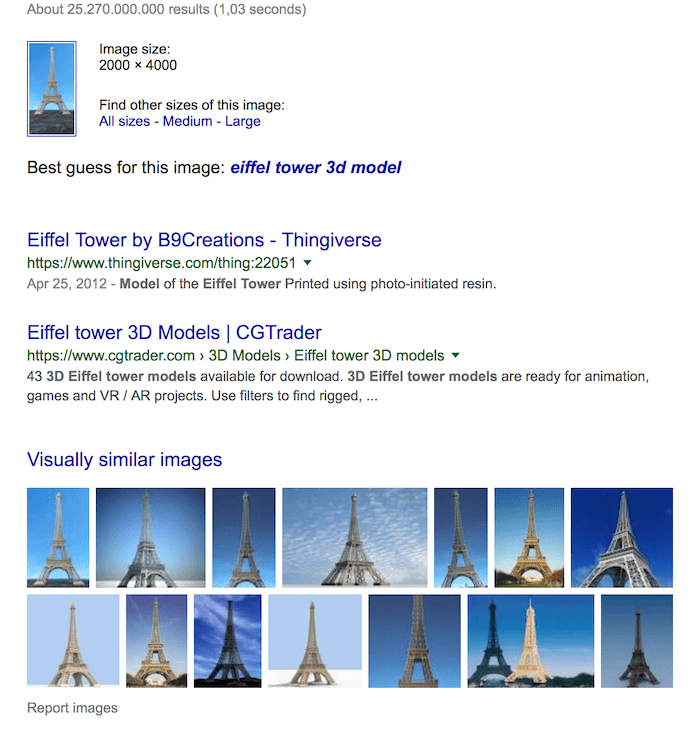 Now you know how it works, let’s look at what you can do with a reverse images search tool. 3. What about my dog? 9. What is this thing called? If you want to keep a consistent visual or colour scheme for your blog or website, you might want to search for images that are alike in colour, tint or hue. Perhaps you would like to standardise your header or featured images. All you need to do is upload one of your preferred images to Google reverse image search and check the results. Now you can look at the images Google suggests. But make sure you check the usage rights of any Google images before you download and use them. Have you ever wondered how many people have the same name as you? Use reverse photo lookup. You can find images of your namesakes in just a few seconds. Start by uploading a picture of yourself to do a photo search. You never know. You might make some new friends on social media. Just for fun, I wondered what would happen if I used a photo of my dog. What similar images would Google come up with? Well, I would have to do some more checking and verifying the source, but I think the image second from the right on the top row is the father of my dog? That was fun. But perhaps there are more serious uses for this tool. If you create unique images for your site, you don’t want people stealing or copying your image without a credit or backlink. This is probably one of the best uses of reverse search. Here is what I found for one of my images search engines have indexed. My indexed image is listed at the top, and then the uses of my image by another site. When I visited the site that is using my image, I was pleased to see that it had added a backlink and full credits to my site page with the image. If you find an image as I have detailed in point 4 and you find there is no attribution to your image, you have a great opportunity to gain a new backlink. All you need to do is contact the site owner who is using your image without crediting you, and ask them to remedy the situation. In 95% of cases, the site owner will add a link back to you – because of the embarrassment that they have been caught stealing! It’s a very simple and effective way to improve your SEO. If you use royalty free stock images, which we all do, how many other people are using your selection? 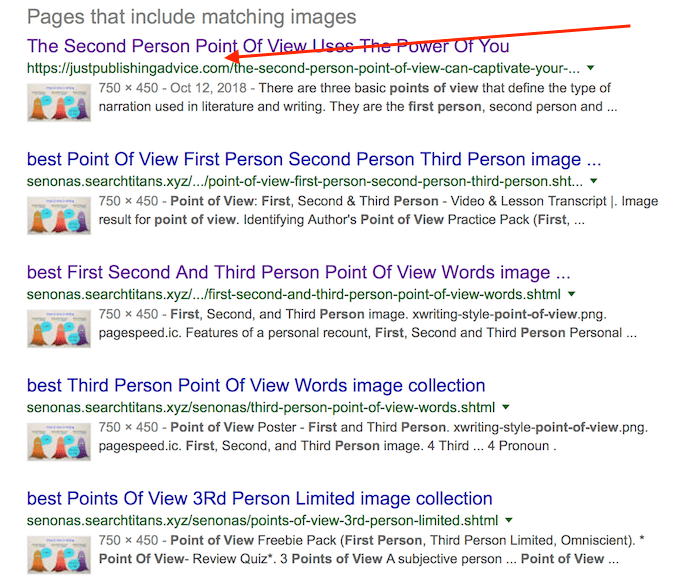 These free images are very popular, so it is worth the effort to perform a reverse search to check to see if you are using an image that everyone is using. As you can see by the arrow, there are hundreds of sites using this image from Pixabay. A result such as this is a good hint that you should think about creating a more unique image to replace this overused image on your site. If you have an image, but you are not sure of its origin, you can check. Then you can correctly add attribution and links so you can use the image. The first entry in the list is usually the correct source of your image. Not sure what a something is called. Here is a famous cathedral, but what is its name again? Ah yes, that’s right. The Duomo di Milano. It’s annoying when you can’t remember the name for something. You search Google for an answer, but still can’t find the word. Well, worry no more. It is easy to remedy. Upload an image and ask Google images. Ah, that’s right. 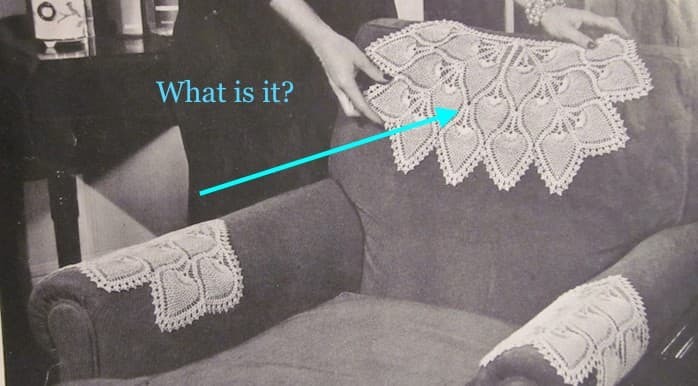 An antimacassar. You have an image, but it is the wrong aspect or ratio for your blog. Maybe the image you have is a little blurry, so you would like a sharper one. It’s an easy fix. If I have a portrait photo but want a landscape image, the middle one in the top row looks like a better choice. 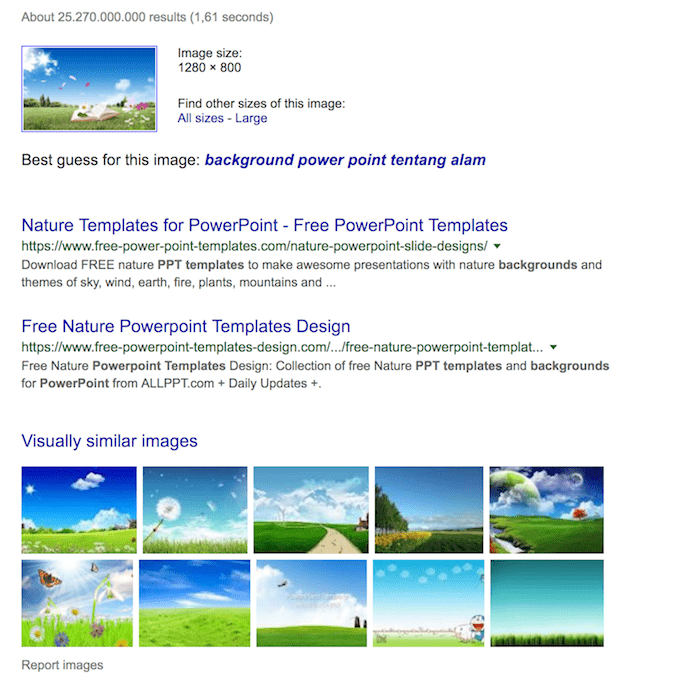 The reverse image tool is similar on Google, Bing, and Yandex. Bing has one little idiosyncrasy, however. You need to search for a word first before the camera icon appears. A bit silly, but well, that’s life. For Yandex, it is the same as Google. But if you use DuckDuckGo, I’m afraid you are out of luck. I tried to dig around but couldn’t find a reverse search tool. On your mobile device, Google image search does not have a small camera icon. 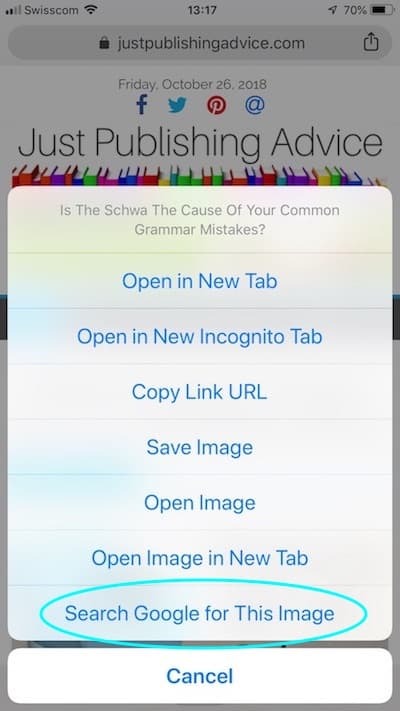 To use reverse search on your Android, iPhone or iPad, you need to be using the Chrome browser app. Then go to your Chrome browser, and press on an image and the following pop up will allow you to do a search. It is right down at the bottom of the list. Another solution is to use a site service. There are many, but Search by Image is one reverse photo site you can try. You can upload your images from Google Drive, your Photo Library, or another source of photographs, WhatsApp images, screenshots and memes. Holidaymakers and travellers use it for finding the location of places to visit or to check the source of photographs. I read on one site that Tinder and Facebook users have used search by image to research profile pictures of their potential dates. Well, that is one use I won’t ever need to bother with. There are so many ways you can use reverse images. As a research tool, it is a quick and easy way to find answers to questions. If you are an author, it can help your accuracy in describing places and landmarks in your story. For content writers, it is not only for research. It is also a fantastic tool to check on who might be stealing your content and images. When you are on vacation, you can use your phone to discover more about your holiday destination by finding the photo location. 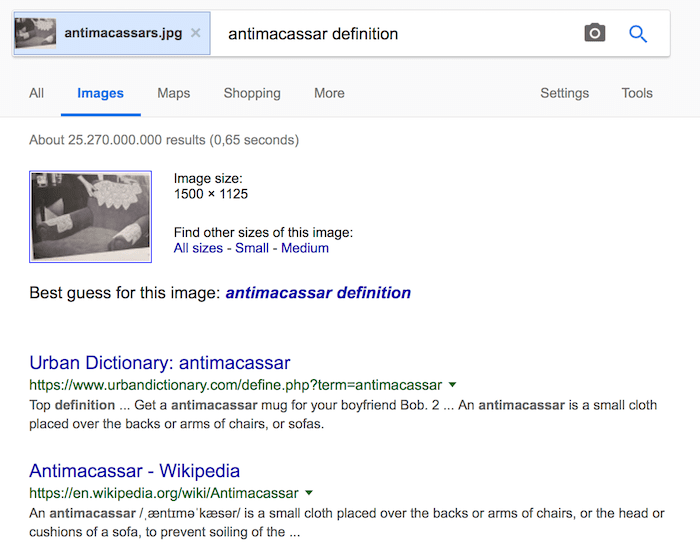 No matter what your question, reverse image search can help you in so many useful ways.